This Floor Choice inchAbstract inch Shower Drain is ideal to add to your new or existing shower. Features a distinct pattern that collects hair while allowing drainage. Designed to be a seamless replacement of your existing cover as it fits a standard shower drain. Made of durable, long lasting stainless steel. Quick and easy installation. Perfect for renovations. This Floor Choice inchBamboo inch Shower Drain is ideal to add to your new or existing shower. Features a distinct pattern that collects hair while allowing drainage. Designed to be a seamless replacement of your existing cover as it fits a standard shower drain. Made of durable, long lasting stainless steel. Quick and easy installation. Perfect for renovations. This Floor Choice inchCosmos inch Shower Drain is ideal to add to your new or existing shower. Features a distinct pattern that collects hair while allowing drainage. Designed to be a seamless replacement of your existing cover as it fits a standard shower drain. Made of durable, long lasting stainless steel. Quick and easy installation. Perfect for renovations. 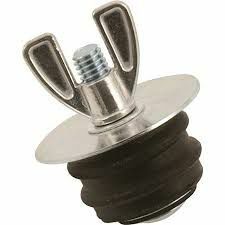 Plumbing Repairs made easy: Replacement sink Pop-up Plug suitable for DELTA drain and Universal Fit . JAG Plumbing Products strives to bring customers the best products in Canada and make them available on the best online shopping platform: Homedepot.ca - Owned and Operated in Ajax, Ontario, Canada, JAG PLUMBING prides itself on offering Home Depot Customers durable, high quality, non OEM replacement plumbing parts.